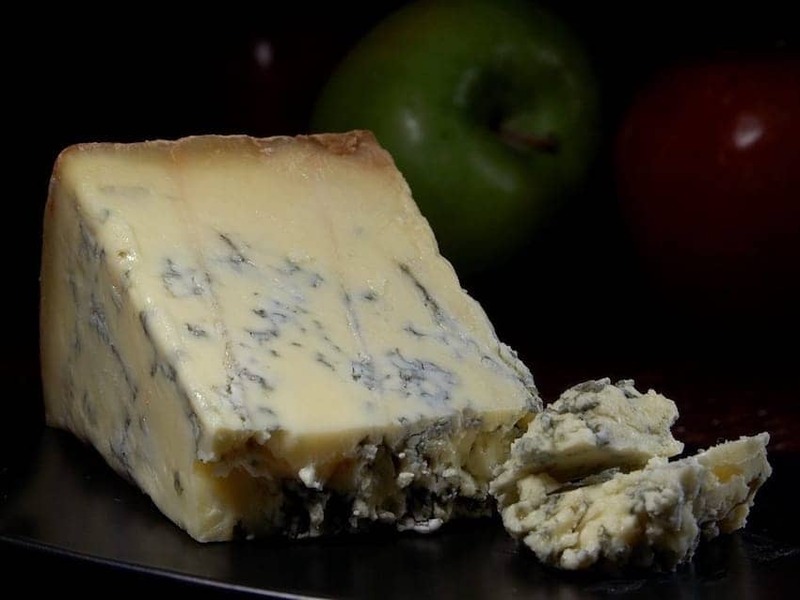 Britain's favourite blue cheese dating back to the early 18th century. It has its own Certification Trade Mark and is an EU Protected Food Name. It can only be produced in Derbyshire, Nottinghamshire and Leicestershire; made in a cylindrical shape and have the blue veins radiating from the centre. Stilton has a unique flavour, open texture and creamy background so it melts and crumbles easily.